Because of the myriad of important issues being addressed, the NMMA is encouraging the industry to attend ABC this year. 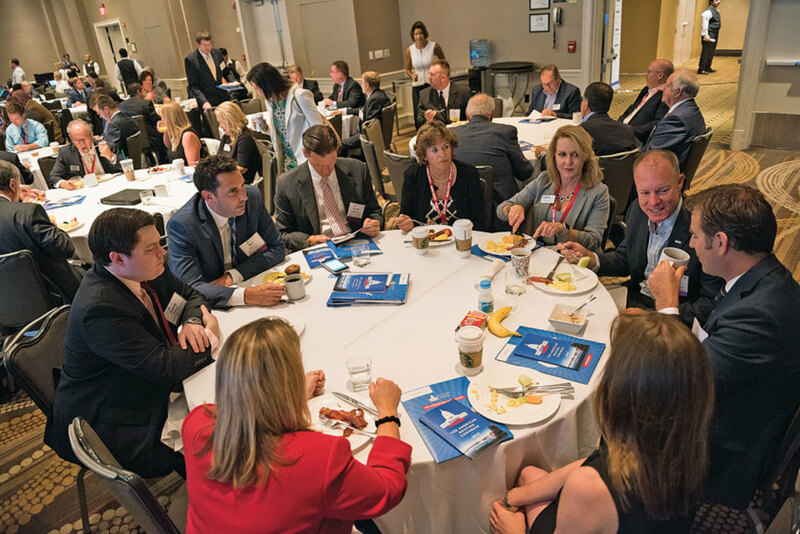 “Never has there been a time around ABC where there are so many issues that are impactful for the industry and are really at a critical point,” says Nicole Vasilaros, vice president of legal and federal affairs for the National Marine Manufacturers Association. Recreational saltwater fishing, aluminum tariffs, workforce shortages, infrastructure and renewable fuels such as ethanol and biobutanol are all areas that have seen momentum. The traction that recreational boating and outdoor recreation have gained with the Trump administration can translate into legislative changes, says Will Higgins, public policy manager for the Marine Retailers Association of the Americas. Jeff Angers, president of the Center for Sportfishing Policy, is calling its concurrent Capitol Hill event Center Focus on Washington. “My message to people considering coming is simply this: You don’t get to complain if you don’t pitch in,” Angers says. 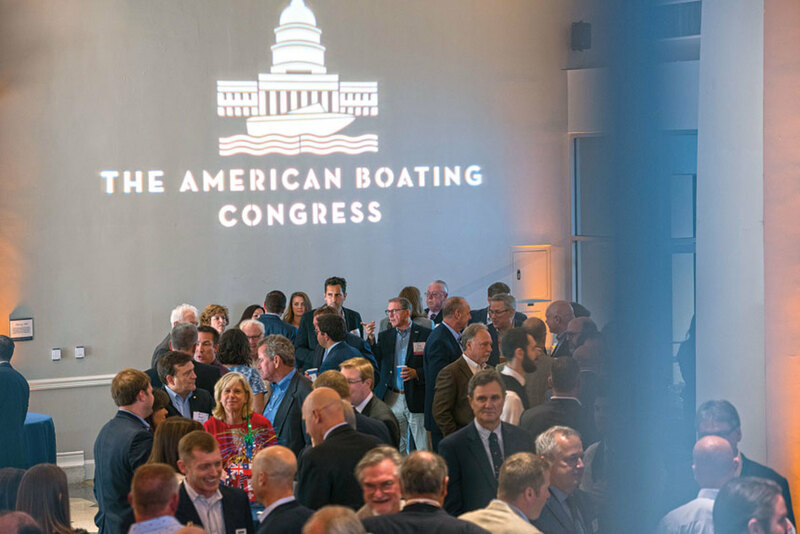 This year’s ABC will have a new two-day general session with high-profile members of the Trump administration as Congress, and a marine industry panel titled “The Power of Advocacy,” which Vasilaros will moderate. Chris Wallace, host of “Fox News Sunday,” will provide a keynote address at the second day of the general session. Bureau of Economic Analysis Communications chief Lucas Hitt will present data that illustrates the economic significance of outdoor recreation, including recreational boating and fishing, when meeting with members of Congress and staff. Tim Gallaudet, assistant secretary of commerce for oceans and atmosphere at the National Oceanic and Atmospheric Administration; U.S. Coast Guard Capt. Jennifer Williams; and National Association of Manufacturers chief economist Chad Moutray will also present on May 10. 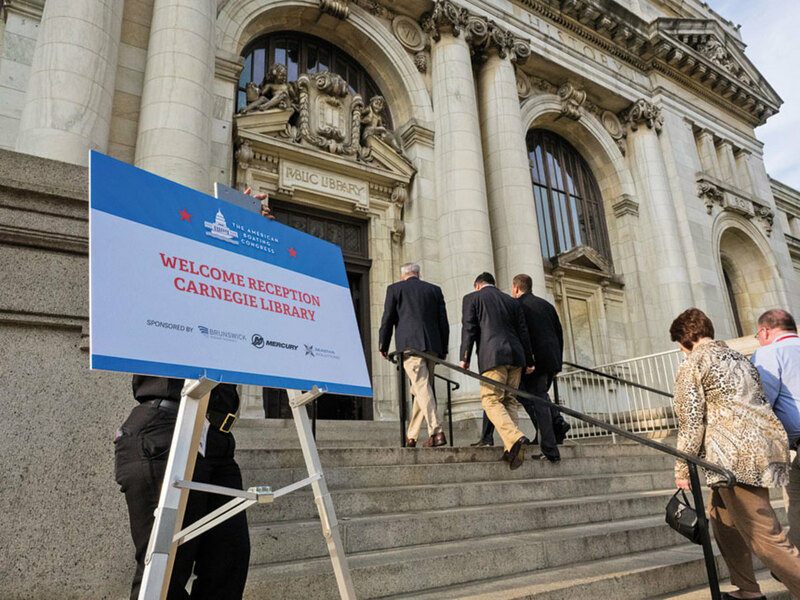 Several associations are making a push to get millennials involved, offering discounts and are hosting a networking event along with a Q&A panel with Capitol Hill staffers. The outreach excites Eric Kretsch, Association of Marina Industries legislative and outreach coordinator and himself a millennial. “The hope is that it will enable millennials who are younger to feel empowered and invested in the future of boating,” Kretsch says. Drawing millennials will be useful when meeting with congressional staffers, since they largely hail from that generation, Vasilaros says. Workshops on the first day of the event will cover foreign-flagged yachts, trade updates from around the world, regulatory burdens, saltwater fishing, water infrastructure, regional topics, workforce development and fuel policy. Sweeping tariffs on all imported aluminum, in addition to separate tariffs on aluminum sheet from China, have generated concern from the industry. Most boatbuilders source aluminum sheet domestically, but because demand exceeds the supply, some smaller boat and trailer manufacturers are forced to source from abroad, Vasilaros says. The NMMA expects the three duties to amount to more than 60 percent. Aluminum fishing boats and pontoons account for more than 43 percent of new powerboat sales each year, the NMMA said, with more than 102,700 sold in 2017. The industry worries that the tariffs will increase price of both types of boats that are popular among those looking for a cheaper alternative to fiberglass boats. The first tariff on aluminum sheet from China, which was expected to hit April 17, is the result of a countervailing investigation to determine whether China is unfairly subsidizing its industry. The second round, slated to hit by fall, is the result of a separate investigation to determine whether China is dumping aluminum sheet. Both investigations were initiated in a rare move by the U.S. Department of Commerce in November to see if the practices allowed China to sell aluminum sheet to the United States at low prices and harm American producers. And in March, President Trump announced a 25 percent tariff on steel imports and a 10 percent tariff on all aluminum imports, prompting several countries to vow retaliatory duties against the United States. The European Union has already listed all recreational boats — from kayaks to fiberglass center consoles to yachts — to its list of items it plans to mark for retaliatory tariffs in response to the steel announcement. That move stoked fears of a potential global trade war, rising prices on all aluminum, and supply shortages domestically. The MRAA and the Association of Marina Industries will be prioritizing legislation and policy that will help develop more trained technicians to fill workforce shortages. The MRAA has partnered with the Rhode Island Marine Trades Association to come up with an industrywide workforce development plan. There is no estimate of how many skilled labor jobs the recreational boating industry’s manufacturers need to fill, but an MRAA workforce assessment conducted two years ago found that marine dealers would have at least 31,000 service technician positions unfilled by next year, Gruhn says. The MRAA is partnering with the NMMA to conduct a similar study among manufacturers, and update its own study. During the next decade, 2 million manufacturing jobs overall are expected to go unfilled because of the skills gap, according to a 2011 analysis by Deloitte Consulting and the Manufacturing Institute. “Our first priority we’re asking our members to address is workforce development,” Kretsch says. From the evening receptions to the breakfast meetings that start each day, networking is a vital part of ABC every year. Long-awaited changes to recreational saltwater fishing could be imminent if the Modern Fish Act crosses the finish line in Congress this year. The legislation calls for updates to the Magnuson-Stevens Fishery Conservation and Management Act — the rule governing how recreational saltwater fisheries are managed — that would treat recreational fishing differently from commercial fishing. To date, the commercial and recreational sectors have lumped together in terms of allocation and management, but as technology evolves and more people are able to access offshore fishing, the recreational side has called for change. The bill, introduced in July by U.S. Sens. Roger Wicker, R-Miss., and Bill Nelson, D-Fla., cleared the U.S. Senate Committee on Commerce, Science and Transportation with bipartisan support in February. A companion bill by U.S. Rep. Garrett Graves, R-La., was introduced in the House in April 2017 and cleared the Committee on Natural Resources in December. That bill had less bipartisan support because Democrats deemed some components to be less environmentally friendly than those in the Senate version, Vasilaros said. 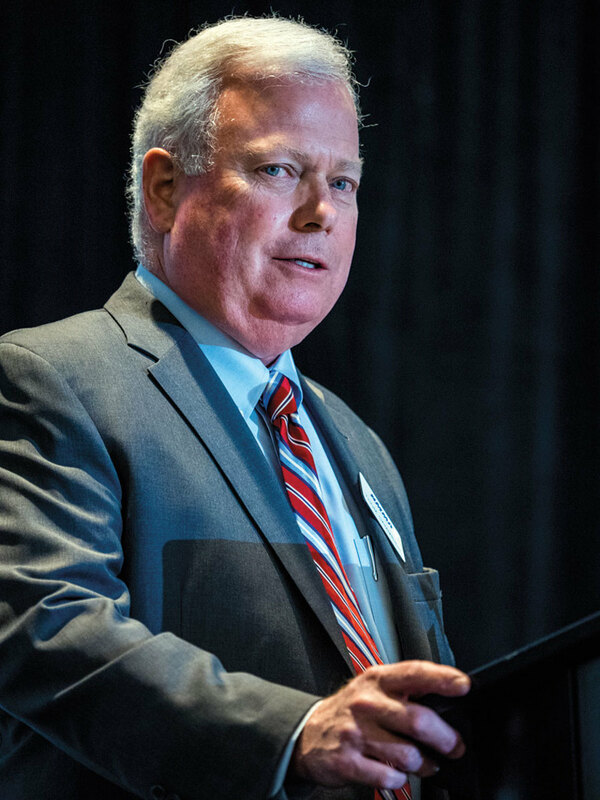 NMMA president Thom Dammrich has stressed the importance of industry members attending ABC and voicing their opinions on issues. Opponents that had ignored the bill’s progression have changed tracks now that it’s passed through committee in both chambers. The bill needs to get to the president’s desk by summertime, before Congress gets preoccupied with midterm elections, Vasilaros says. “We have never gotten this far on saltwater fishing policy, and the window is very short,” she says. Last summer, a push to sell gas containing 15 percent ethanol year-round collapsed, but there are talks behind closed doors that haven’t included all stakeholders. On the positive side for the marine industry, the Environmental Protection Agency has issued a rule that would make biobutanol — another biofuel that has been extensively tested by the marine industry and does not harm marine engines — allowable for highway use. That change would start the process of integrating that biofuel into the fuel supply, “something the marine industry has been pushing for years,” Vasilaros says, and allowing the nation to comply with the Renewable Fuel Standard. It was updated in 2007 to mandate an increasing use of biofuels in the overall supply, without continuing to increase the percentage of ethanol. Some people also refer to biobutanol as isobutanol. The standard was written to flatly increase the amount of biofuel over time, yet since it was written in 2007, there has been a decline in fuel consumption. Legislative attempts to change the language and make the biofuel amount a percentage have been unsuccessful, leading to the increase of ethanol, which has been the only approved biofuel for highway use. The industry will also be trying to make inroads addressing boating infrastructure through the Water Resources Development Act. The NMMA supports a gas tax increase as long as the increased funds are attributed to the Sport Fish Restoration and Boating Trust Fund. Regional topics include invasive aquatic species, Everglades restoration and Pacific salmon fisheries. The MRAA will urge members to ask for continued support of the Outdoor Recreational Industry Roundtable satellite account, Higgins says. “That’s another key to the success we’ve been having — coming together as an industry on public policy and action,” Higgins says. The new data showing outdoor recreational makes up 2 percent of GDP, more than agriculture or mining, allows members to go in with economic data showing that recreational boating means real dollars.